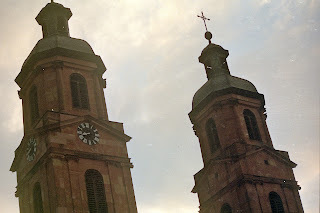 Oh, how I love picturesque little European villages, and I have another one to share today. Miltenberg, in Germany, is a charming old Bavarian town best known for its gorgeous half-timbered houses along its main street and in its market square. (Sidebar: the term “half-timbered” is new to me. I always called the architecture “tudor style,” but that’s a might too British, I think. I like the German word Fachwerk, but it’s tricky for non-German speakers to say without articulating a very bad four-letter English word. 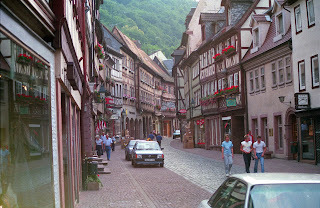 I’ll stick with “half-timbered.”) Miltenberg sits on the banks of the Main River about 18 miles south of Mespelbrunn and 44 miles west of Würzburg and is easily reachable by car or train. The romantic little town of Miltenberg never suffered any war damage or major fires, and is less crowded with tourists than other more well-known, medieval German cities such as Rothenburg. The ruins of Miltenberg Castle look over the city and a climb to the top of the watchtower afford a scenic view of the surroundings. Admission to the watchtower is 3€ for adults and 2€ for children under 11. 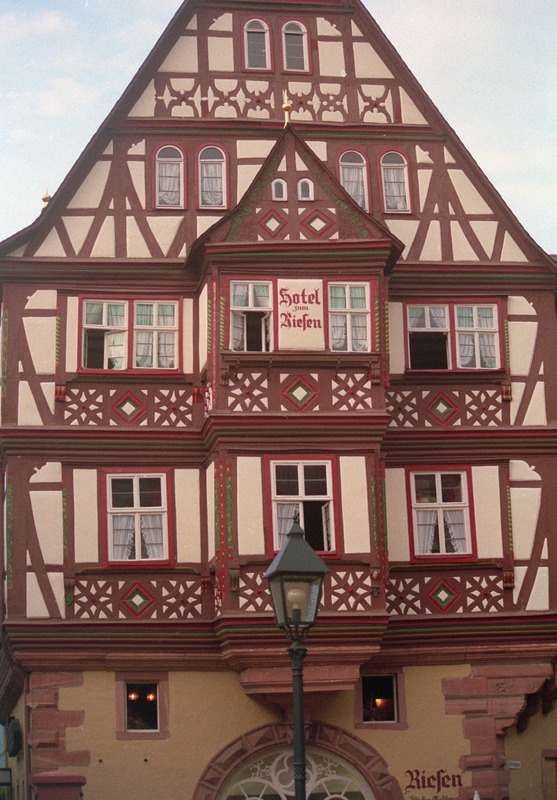 If you are lucky enough to be able to spend the night in Miltenberg, the Hotel Zum Riesen is arguably the oldest hotel in Germany (original construction of the adjacent tavern dates back to 1190), and is a favorite of many frequent European travelers. The management has maintained the historical authenticity of the structure and keeps it beautifully decorated. Hotel Zum Riesen doesn't have a website but you can find info on TripAdvisor. 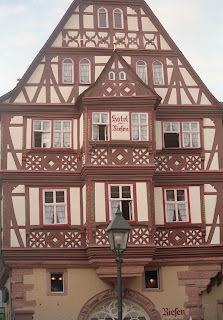 Love the difference between "half-timbered" and Tudor! Although weren't the British royals originally from Germany??? House of Hapsburg? Oh dear, you're stretching my knowledge of European history! You're probably right though!